The Microsoft Office programs on your computer, including Word, Excel, and Powerpoint, all have folder locations where they will try and save new files that you create. Typically this location will be your Documents folder. 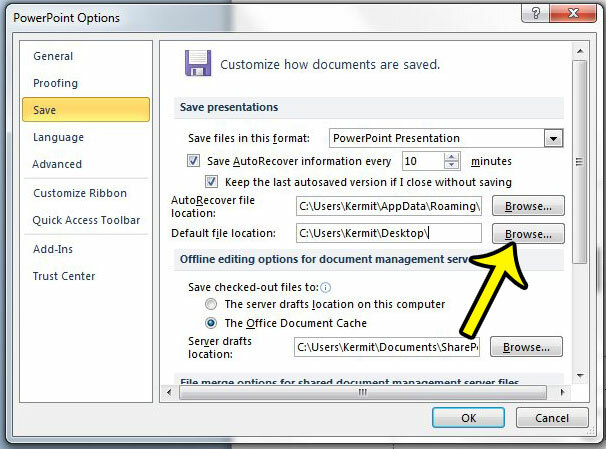 But you are not required to save new files to that location, and you can elect to choose your own default save location in Powerpoint 2010. Therefore you can choose to save your new files to any location that you prefer, such as your desktop, or a specific Powerpoint folder that you have created within your Documents folder. Our tutorial below will help you find the menu where you can choose the default location for new Powerpoint presentations that you create. 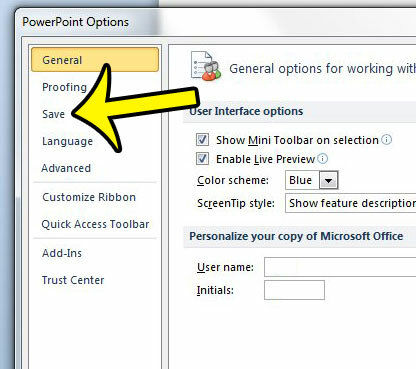 The steps in this article will show you where to set the default save location for files in Powerpoint 2010. This is the folder that Powerpoint will first open to when you are saving a new presentation. 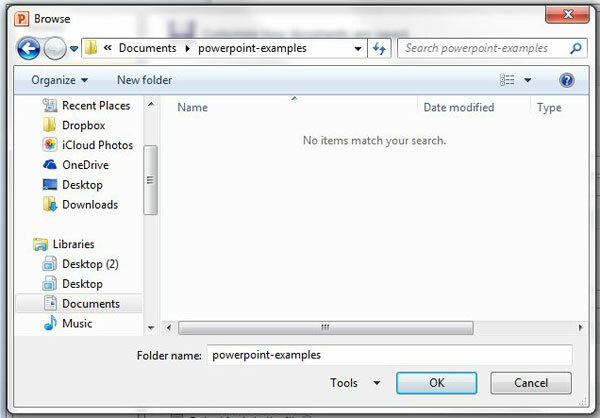 If you open an existing Powerpoint presentation from a location on your computer, then Powerpoint will save that file to that location instead. Click the Save tab at the left side of the Powerpoint Options window. Click the Browse button to the right of Default file location. Browse to the folder where you wish to save new files by default, then click the OK button. 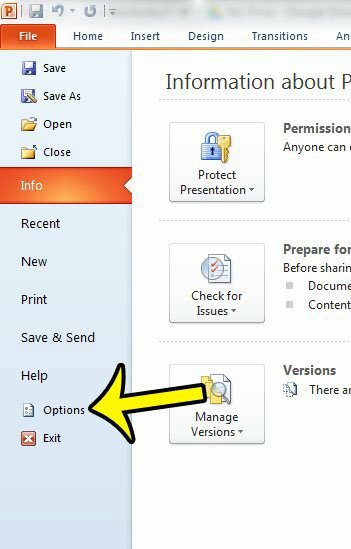 Click the OK button at the bottom of the Powerpoint Options window to close it and apply your changes. Would you like to make it easier for people to follow along with your presentation as you give it? 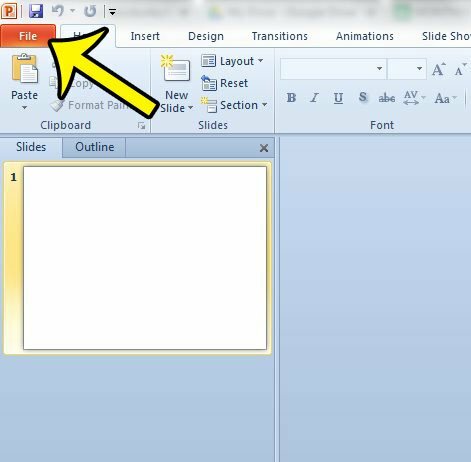 Learn how to add slide numbers in Powerpoint 2010 to provide an easy way to reference information on a slide, or to return to a slide when answering questions after your presentation.